A Pacific fisher image from the new calendar. A treasure trove of candid Pacific fisher photos has been compiled into an 18-month calendar that is being sold to raise awareness about the small, nocturnal carnivore. The calendars – designed by Anne Lombardo, a UC program representative with the Sierra Nevada Adaptive Management Project – are available for $12 each on the UCCE Central Sierra website. Once widespread across the high elevation forests of the Sierra Nevada and in the coastal mountains of northwestern California, fishers are now found there only in two small isolated populations. One group lives near the California-Oregon border; the other in the southern Sierra Nevada between Yosemite and Sequoia national parks. 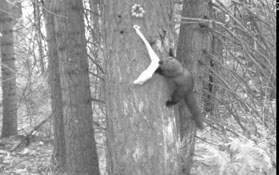 Two research studies of the southern fisher population – one led by the University of California in the Sugar Pine area south of Yosemite and the other led by the U.S. Forest Service in the Kings River watershed – have been documenting the fate of the animals for the past six years. During that time, forests were treated to reduce fire danger by thinning trees under 30 inches in diameter or by smashing down small trees and brush in a process called mastication. 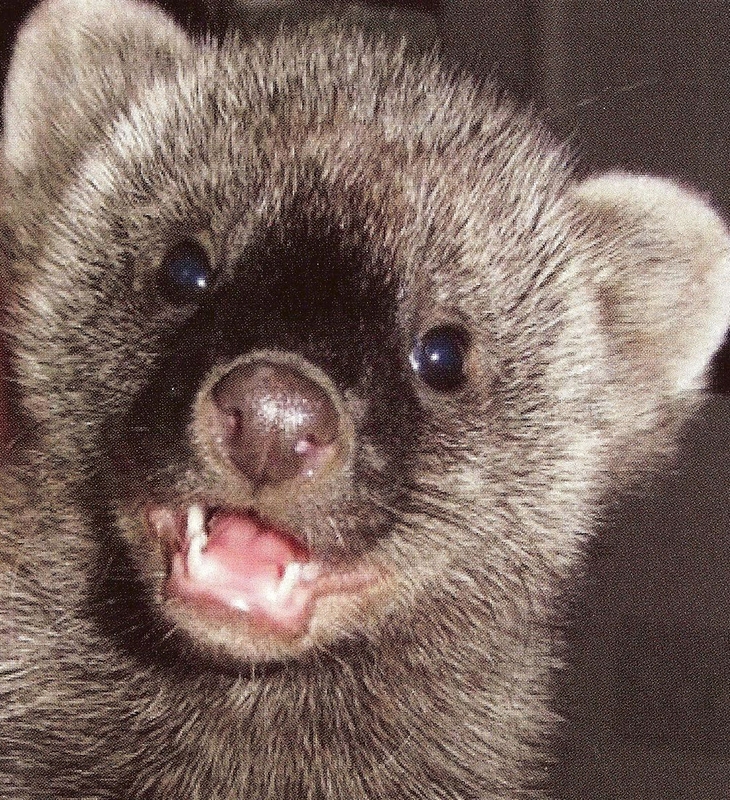 The research will determine whether the treatments have an impact on the fisher population. The Kings River project has been led by USFS research ecologist Craig Thompson since its inception. Thompson recently also took over leadership of the Sugar Pine project to complete the final two years. In the Yosemite area, most of the fisher surveillance has been done by plane using radio telemetry to track fisher with transmitting collars. In the Forest Service study area, the radio telemetry surveillance has been done on the ground. The calendar includes 20 photos of a creature that wildlife lovers rarely get to see because of the Pacific fishers' relatively small population and reclusive habits. Photos include kits with their mothers in the wild and also orphaned kits on their own at a wildlife recovery facility. The calendar marks the days between July 2014 and December 2015. More information about the fisher projects in the Sierra Nevada may be found on the Sierra Nevada Adaptive Management Project website.